Okonomiyaki is a Japanese savoury pancake. 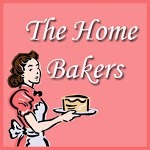 It is a versatile dish and you can really add whichever ingredients you like to the basic recipe. 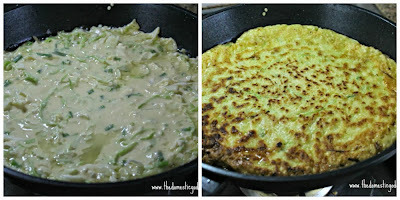 The LAM and the kids love okonomiyaki, also known fondly in our house as the "Japanese pizza". I have made okonomiyaki with bacon, ham, chicken, prawns, squid... the list goes on, but today, I made a vegetarian version consisting of cabbage and spring onion. 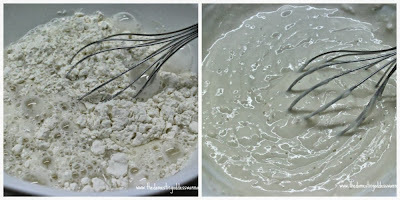 I always start the base by whisking flour with cold water. 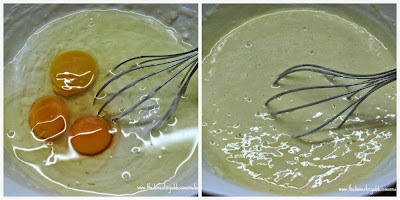 Then I added the eggs and whisked that too. 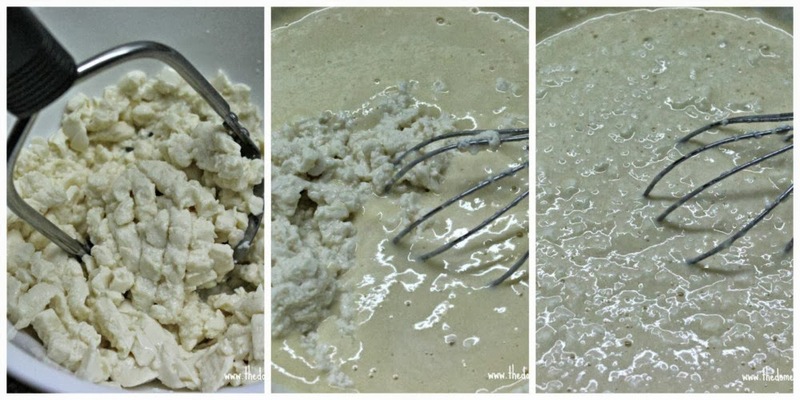 The toufu was mashed, and added to the batter. 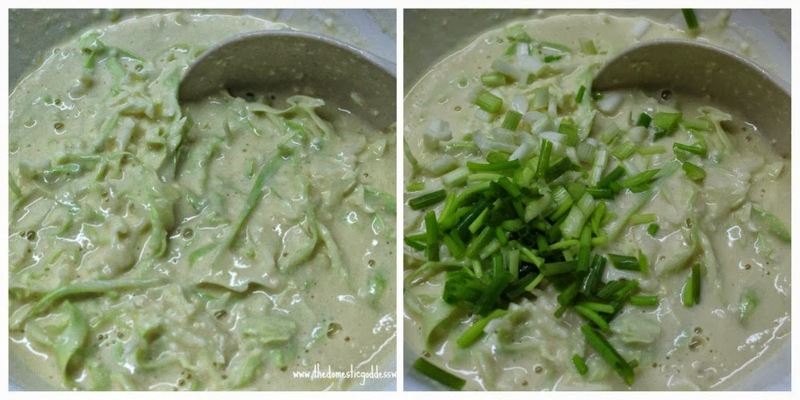 Finally, I added the shredded cabbage and chopped spring onion (here you can add any other ingredients you may be using), and stirred to combine. The batter was placed in a skillet (add some oil first!) and fried until it turned brown, and was cooked through. 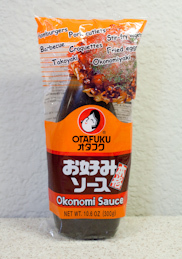 I drizzled okonomiyaki sauce on the okonomiyaki. Then I sprinkled some aonori. And I drizzled Japanese mayonnaise. Finally, I topped the okonomiyaki with some katsuobushi. 1. Mix flour and water. 2. Add eggs, mix well to form a batter. 3. Mash toufu. 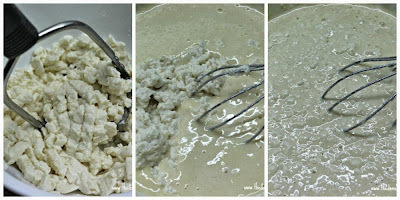 Add to batter and mix. 4. Stir in cabbage and other ingredients. 5. Heat oil in skillet. Fry batter in 2 batches until crispy. 6. Garnish and serve hot. I love this Japanese pancake... looks delicious! I'm a big fan of Japanese pancake too! With so many Jap ingredients, yours looks very authentic. Hey Zoe - thanks for the heads up! I shall forward the recipe to Alan!